We all love a snack to keep us going, from superfood and protein bars to nut butters. 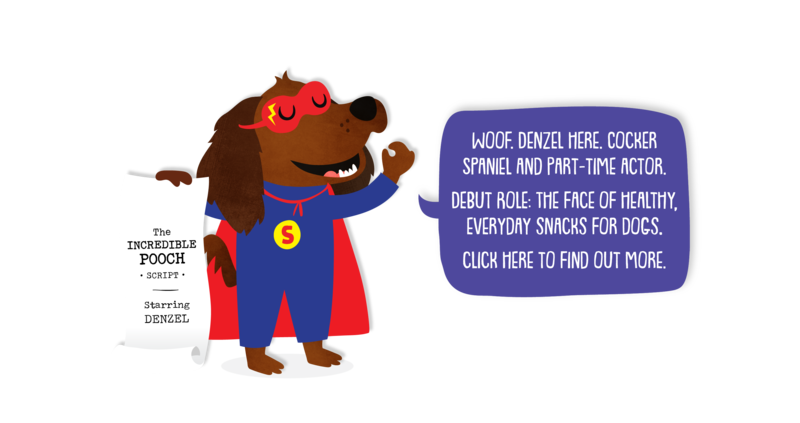 We also all know that dogs love a snack too, especially Denzel our cheeky Cocker Spaniel. We have created a range of healthy snacks made from 100% natural ingredients, gently baked in eco-friendly ovens into tasty snack-sized chews. No artificial additives or preservatives. 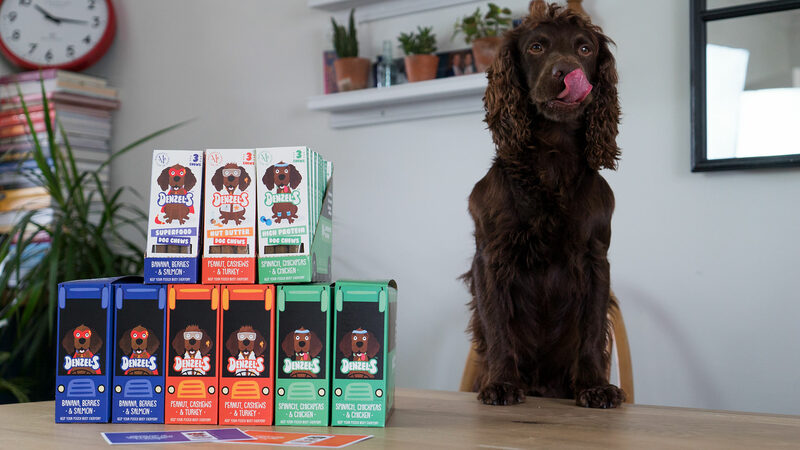 All our chews are grain-free, naturally low in sugar and under 50 calories per chew, our healthy snacks are the perfect way to keep your pooch busy everyday. 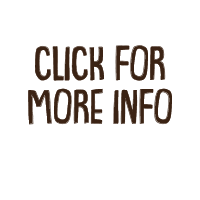 Pop your details below for sneak previews, special offers and the latest news of what's in store.